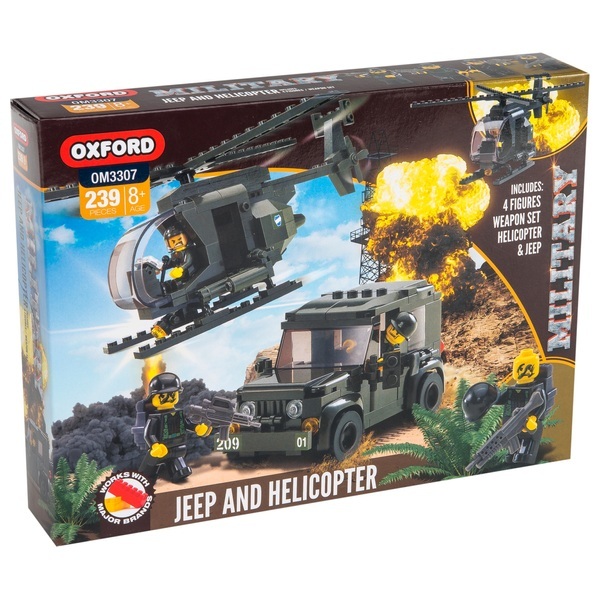 Create your very own military battle against the enemy forces with this army jeep and helicopter! Patrol the skies with the military helicopter and when the enemy is spotted, hop into the military jeep to surprise the enemy! Set features a helicopter and military jeep. Bricks compatible with other leading Construction Brands.